This pattern is surprising in light of the fact that a stock market listing gives firms access to cheaper investment capital. According to new research, public companies invest less and are less sensitive to investment opportunities than private companies. 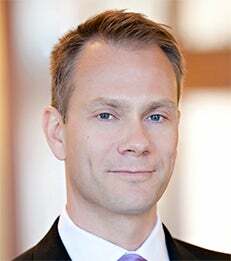 NYU Stern Professor Alexander Ljungqvist and co-authors plumbed a newly available database of private company information to confirm that the short-term pressures of being public affect corporate behavior in significant ways. In “Corporate Investment and Stock Market Listing: A Puzzle,” Professor Ljungqvist, John Asker of UCLA’s Anderson Graduate School of Management, and Joan Farre-Mensa of Harvard Business School utilized a database of some 99,000 private US firms covering more than 400,000 firm-years in the decade between 2001 and 2011, and compared the data with comparable data from public firms. Because private firms are often owner-managed, and in any case are both illiquid and have concentrated ownership, their owners monitor management more closely to ensure that long-term value is maximized; hence the authors reasoned that they would be subject to fewer “short-termist” pressures than listed companies. The data showed that private firms invest substantially more than public ones, on average, holding firm size, industry and investment opportunities constant. “This pattern is surprising,” the authors write, “in light of the fact that a stock market listing gives firms access to cheaper investment capital.” Also, private firms’ investment decisions are around four times more responsive to changes in investment opportunities than those of public firms – even during the recent financial crisis. Further, the authors found that firms that go public invest more and are more sensitive to investment opportunities in the five years before they go public than after, and, once they have gone public, their investment sensitivity becomes indistinguishable from that of similar, already-public firms. Join us in our mission to develop people and ideas that create value for business and society.